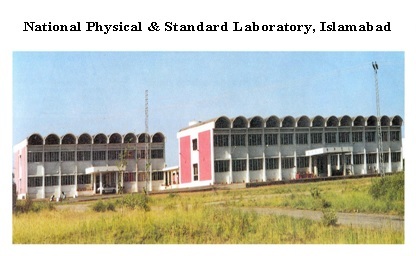 National Physical and Standards Laboratory (NPSL), established in 1974 under a development project of Pakistan Council of Scientific and Industrial Research (PCSIR), started functioning practically at its present premises at Islamabad in 1983, as a unit of PCSIR. Since establishment NPSL has been operating as the apex body in the field of “Metrology” and is the sole custodian of National Standards of Measurement in the country. It is the first accredited laboratory in the country against ISO 17025 International Standard and is equipped with state-of-the-art equipment for measurement, calibration, testing and analysis. Being, the National Metrology Institute (NMI) of Pakistan, it has been mandated to acquire, realize, establish, maintain and disseminate coherent national measurement system of base and derived SI units for physical and chemical metrology. Besides, providing test and calibration services in different fields of metrology, NPSL maintains linkages with International Bureau of Weights & Measures (BIPM), Asia Pacific Metrology Programme (APMP), Regional Metrology Organizations (RMOs) and National Metrology Institutes (NMIs) of the Asia Pacific region. To maintain International Traceability of its national measurement standards. It regularly participates in inter laboratory comparisons (ILC) / proficiency testing (PT) programmes and bilateral arrangements with member countries of Asia Pacific Metrology Programme (APMP). In July 2011, NPSL has signed the CIPM MRA with BIPM, France. This mutual recognition arrangement (MRA) enables NPSL to play a vital role for sound foundation of country’s technical / metrology infrastructure. To render the test, calibration and measurement services, related to the Physical and Chemical metrology.